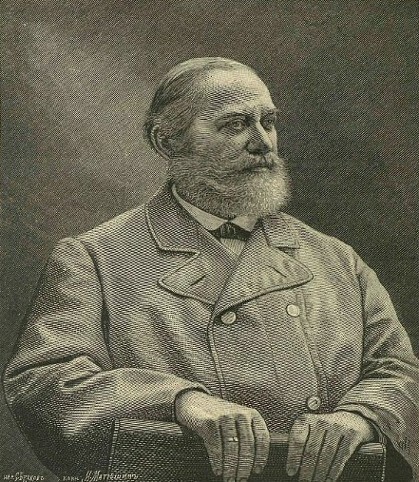 Solovev, Sergei (Соловьёв, Сергей; Soloviev), b 17 May 1820 in Moscow, d 16 October 1879 in Moscow. (Photo: Sergei Solovev.) Russian historian and historiographer; member of the Imperial Russian Academy of Sciences from 1872. 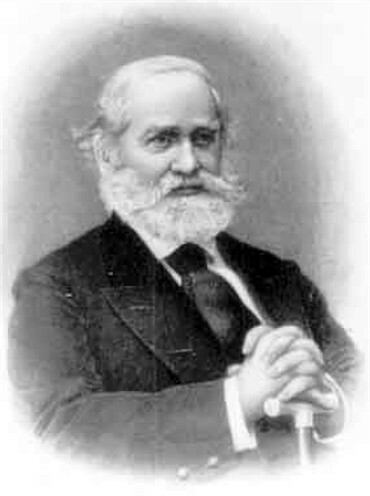 A graduate of Moscow University (1842; PH D, 1848), he was a professor there (1847–77) and served as dean of history and philology (1855–69) and rector (1871–7). He was a leading representative of the statist school of Russian historiography. Among his many works are a monumental history of Russia and its empire to 1775 (29 vols, 1851–79; 10th edn, 15 vols, 1959–66), which contains valuable information on medieval Kyivan Rus’ and the Hetman state (English trans ed H.F. Graham et al and pub as History of Russia, 1976–). In it In essence, Solovev treated Ukraine as nothing more than the ‘Western Russian’ lands that had been polonized and Catholicized by Poland but had struggled to maintain a ‘Russian’ national identity and were destined to be united with Great Russia. He also wrote a history of relations among the Riurykide princes of Kyivan Rus’ (see Riurykide dynasty) (PH D diss, 1847); a history of the fall of Poland (1863); and articles on Prince Danylo Romanovych of Galicia (1847), ‘Little Russia’ up to its subjugation by Tsar Aleksei Mikhailovich (3 pts, 1848–9), Princess Olha (1850), the grandsons of Grand Prince Yaroslav the Wise (1851), Hetman Ivan Vyhovsky (1859), the Cossacks up to the time of Hetman Bohdan Khmelnytsky (1859), and Lazar Baranovych (1862). An edition of his selected works was published in 1983.